This was a 40-year-old lady who presented with acute upper abdominal pain radiating to the back. 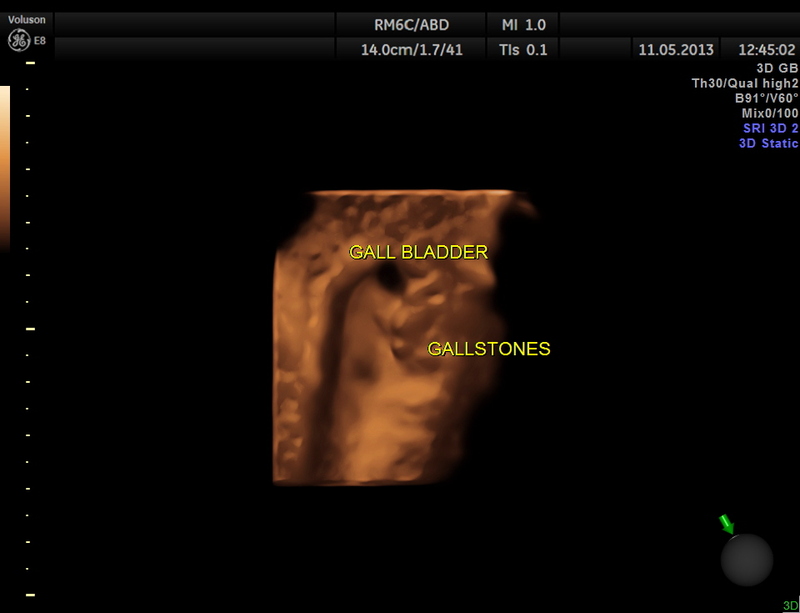 Gall stones were seen . Prominent irregular cysts were seen in both the lobes of the liver ; the cysts were seen to arise from the biliary tract. The diagnosis offered was Cholelithiasis , Choledochal cysts Type IV A and incidental bi cornuate uterus. 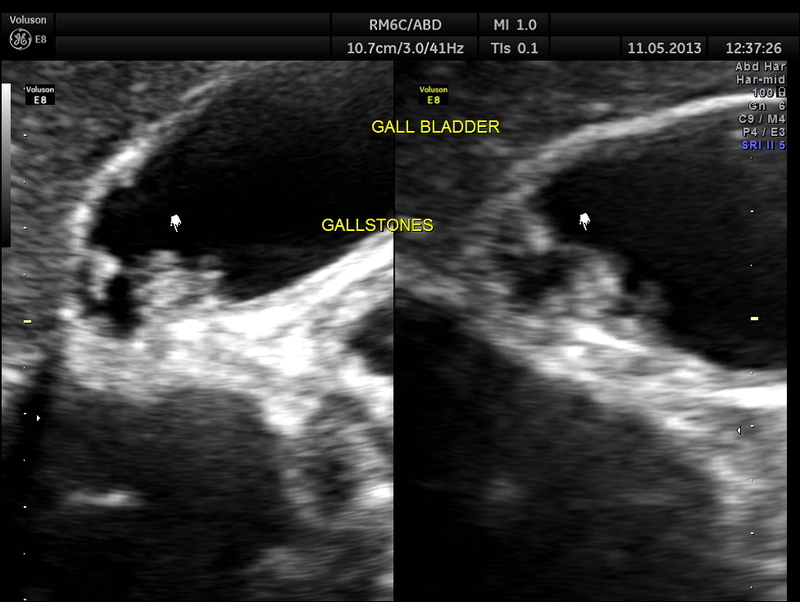 This patient was further evaluated with MRI , which confirmed the ultrasound findings . She underwent surgery successfully. 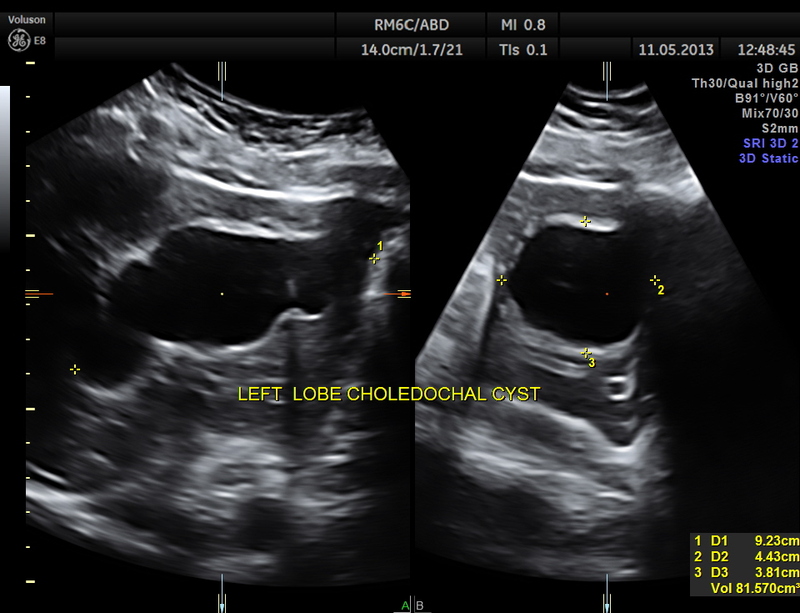 Choledochal cysts are congenital conditions involving cystic dilatation of bile ducts. They are uncommon in western countries but not as rare in East Asian nations like Japan and China. Most of them present in 1st year of life; adult presentation is rare and usually at this stage is associated with complication . Classic triad ofintermittent abdominal pain, jaundice, and a right upper quadrant abdominal mass is found only in minority of patients. They were classified into 5 types by Todani in 1977. Classification was based on site of the cyst or dilatation. Type I to IV has been subtyped. Type I: Most common variety (80-90%) involving saccular or fusiform dilatation of a portion or entire common bile duct (CBD) with normalintrahepatic duct. 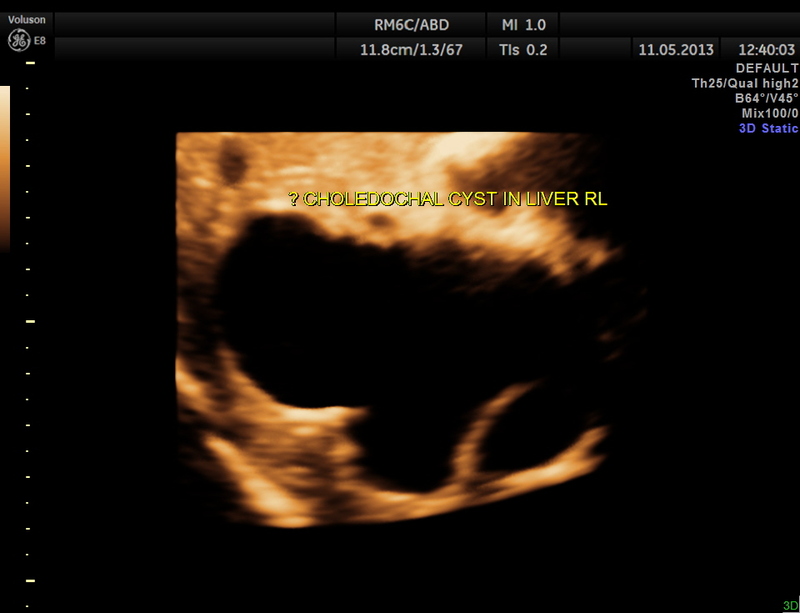 Type V: Cystic dilatation of intra hepatic biliary ducts. Not the same etiology as Caroli’s disease. Choledochal cysts are treated by surgical excision of the cyst with the formation of a roux-en-Y anastomosis to the biliary duct. Future complications include cholangitis and a 2% risk of malignancy, which may develop in any part of the biliary tree. 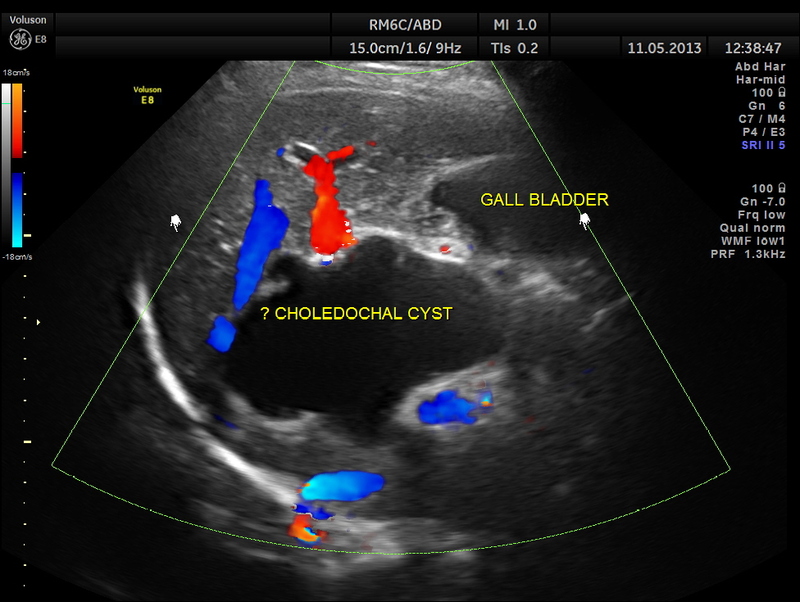 Any relationship between the two anomalies; chledonchal cyst and biconuate uterus. 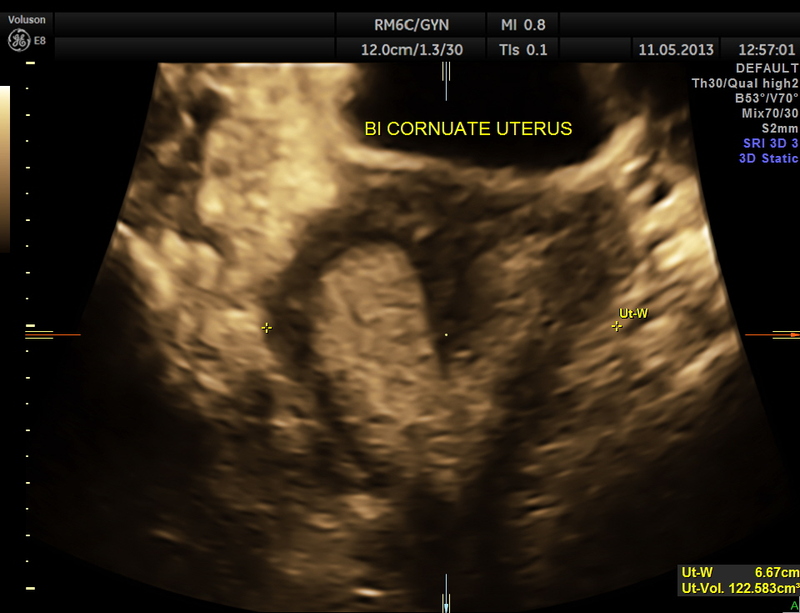 Biconuate uterus was obviously congenital. 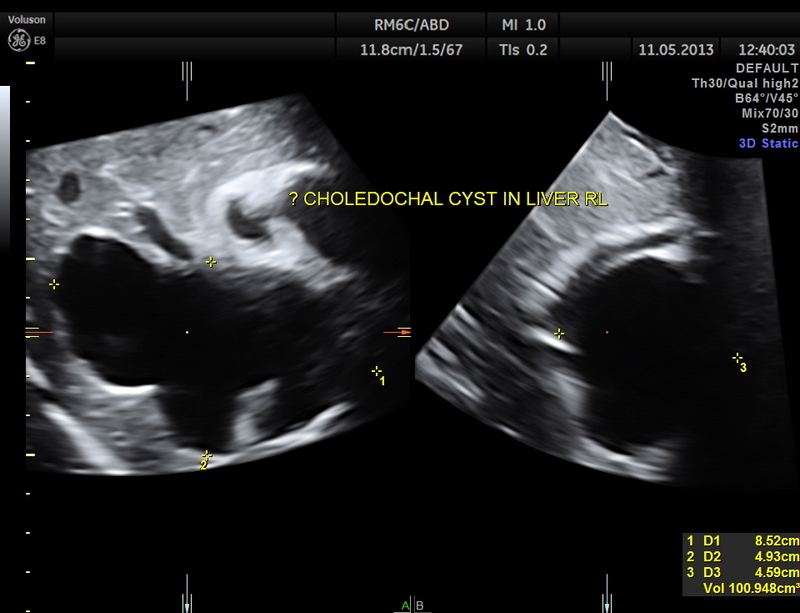 What about chledonchal cyst in a 40 year old woman? Krishna, thank you for the continuos education.